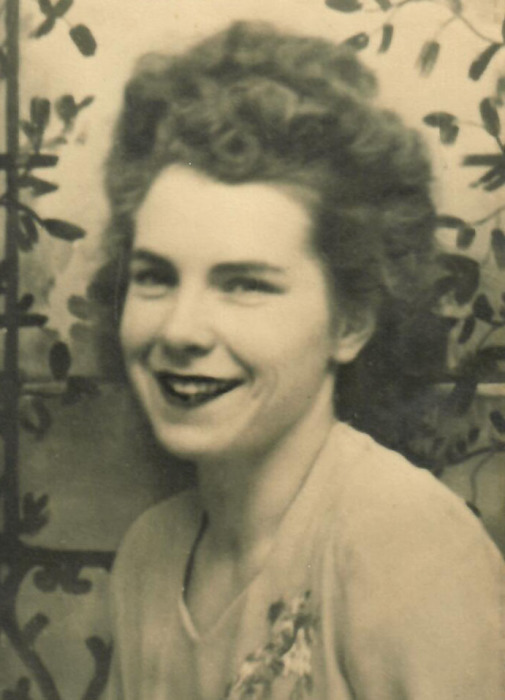 Obituary for Evelyn Irene (Atkinson) Oswald | Providence Funeral Homes & Crematorium Inc.
Evelyn Irene Oswald (nee Atkinson) passed away peacefully January 5, 2019 at the age of 90 years at Penticton Regional Hospital. Irene will be remembered and sadly missed by her son Thomas Oswald of the Okanagan; daughter Alice Holc of South Surrey; son-in-law Ron Masson of Winfield; brother Chuck Atkinson of Chilliwack; grandchildren Christopher (Jenna) Masson of Vernon, Jennifer (Ben) Masson of New Westminster, Amanda Lemay-Oswald of Maple Ridge, Michael Oswald of Kelowna, Jason (Kara) Holc of Nashville, Paul (Brittney) Holc of South Surrey, and Jessica Blake of Texas; great grandchildren Mackenzie, Sebastien, Iris, Brody, Dylan, and William, with a 7th one on the way; sisters-in-law Mabel (Peter) Savage, Monica Farrell, Ramona Oswald, and Jeannie (Marten) Wilcox; many nieces, nephews, great nieces and great nephews; her devoted cat, Bella; as well as numerous lifelong friends far and near, especially Nancy Smith of Summerland and Harry and Elizabeth Crozzier of Scotland. Predeceased by her husband of 68 years Edgar Frank ‘Red’ Oswald (2015), daughters Penny Masson (2015) and Marilyn Blake (2007), brother Larry Atkinson, sister Betty-Lou Waterhouse (Atkinson), and parents Charles and Evelyn Atkinson. Known as Irene since childhood, she was born on February 1, 1928 in Calgary, AB to Evelyn Alberta (nee McNair) and Charles Ernest Atkinson. Irene was the eldest of four children and lived a very happy childhood growing up in Coalmont and Maple Ridge, BC where she met and in 1947 married Edgar ‘Red’ Frank Oswald. They raised their four children in the Lower Mainland. Irene has called Summerland home since retiring here with her husband Red in 2001. Irene’s love of life and people touched the lives of all who knew her. She was well loved for her generous spirit, gift of hospitality, sense of humour, and love for her grandchildren. Irene was well connected to the community and volunteered for many years at the Hospice Thrift Store. She could often be seen at her favorite coffee/lunch spot, The Beanery, or her favorite restaurants, Zia's Stonehouse and The Happy House. Irene also loved to sit by the lakeshore in Summerland or Penticton. She was an avid knitter, crocheter, and reader, her favorites being British spy or murder/mystery novels. 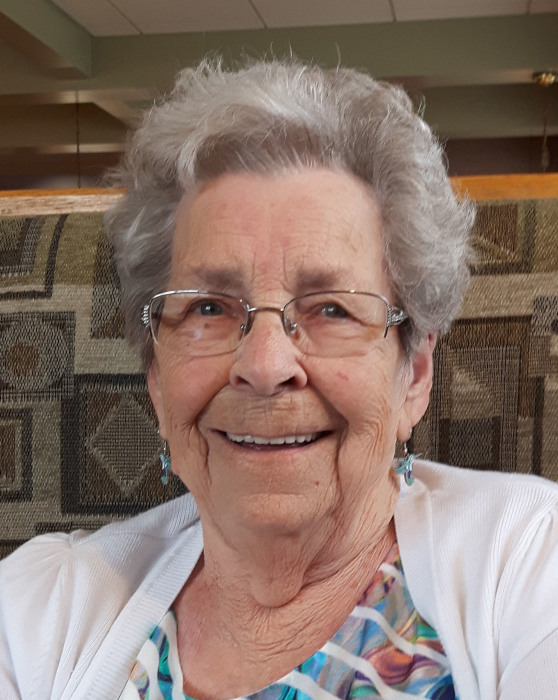 A Celebration of Life will be held in Summerland this spring on Saturday, April 27, 2019 1:00-4:00 p.m. at St. Stephen Anglican Church, 9311 Prairie Valley Road. Memorial donations may be made to Heart and Stroke Foundation of Canada – Okanagan/Kootenay Area Office, 4-1551 Sutherland Ave., Kelowna, BC V1Y 9M9 or a charity of your choice. There's still time to send flowers to the Celebration of Life at the St. Stephen Anglican Church at 1:00 PM on April 27, 2019.